What’s the best way to talk to kids about drugs? 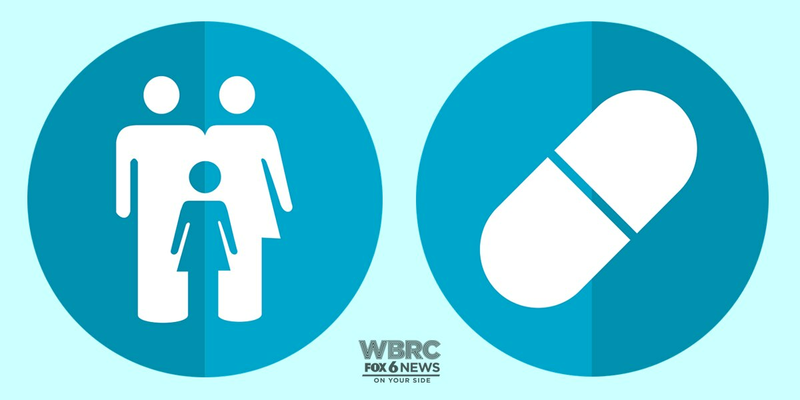 BIRMINGHAM, AL (WBRC) - You can’t watch or read the news without seeing a story about the dangers of drugs, but how can parents make an impact on their kids and communicate the risks in a meaningful way? WBRC’S Beth Shelburne reached out to several alcohol and drug recovery programs for advice, and four young women currently in treatment for addiction stepped up to offer wisdom and advice. Valerie Courtington, 24, began using drugs and alcohol during high school to try to fit in. She said her family was busy running multiple businesses and didn’t give her the structure at home that she needed. “I lacked a lot of attention and love that parents are supposed to pour into you," she said. By the time she was a senior at her high school in Walker County, she was drinking every weekend. After graduation, she began using drugs and hanging out with a crowd that got high all the time. Courtington ended up in jail, which led her to seek treatment, where she learned she’d first made the choice to drink and use drugs because she’d been seeking acceptance. Her advice to parents? Courtington also thinks teens should hear the awful truth about drugs, even if its scares them, because many are not aware of the dangers. Becca Rowan, 35, grew up in Chattanooga. She started drinking and smoking marijuana in high school for fun, but after graduation quickly moved on to cocaine, pain pills and eventually heroin. She began dealing drugs to support her habit and also ended up in jail. Rowan was exposed to D.A.R.E. in high school, but said it didn’t leave much of an impression. She believes schools could make an impact by allowing people in recovery to share their stories. Lauren Evans, 33, has struggled with alcohol half her life. Alcoholism runs in her family, and she remembers taking her first drink at age 10. She began drinking regularly around age 14 and quickly began a dangerous battle with addiction. Evans thought she could handle it, but her cycle with addiction, recovery and relapse lasted years. She is now dealing with the health effects of liver damage and believes parents should let their kids know the damage that drinking can cause, especially because alcohol can appear widely accepted to impressionable young people. Shanika Webb, 29, started drinking at age 13 and later used marijuana and crystal meth. Alcoholism also runs in her family. “Alcohol has always been my biggest demon,” she said. Webb has three children and said the oldest two, ages 9 and 11, know that she’s in rehab. They remember her being hospitalized with alcohol poisoning, and seeing their mom sick with addiction. She decided to take an honest approach with them, explaining that she’s getting the help she needs. For other parents who struggle with addiction, Webb believes it could be a teaching moment. Instead of burying the truth, she recommends opening up to kids about mistakes, regrets and recovery. The recovery programs treating the individuals in this piece are Olivia’s House and Alabama Teen Challenge.